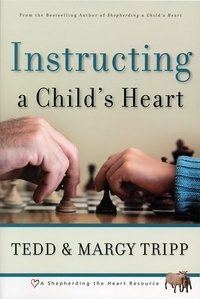 Instructing a Child’s Heart is essential to Shepherding a Child’s Heart. The instruction that you provide for them not only informs their mind; it is directed to persuading their hearts of the wisdom and truthfulness of God’s ways. Impress truth on the hearts of your children, not to control or manage them, but to point them to the greatest joy and happiness that they can experience—delighting in God and the goodness of his ways.